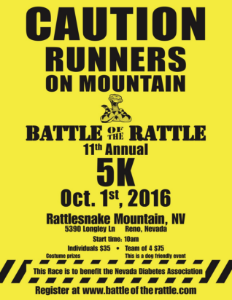 "This is the infamous 5k race of Rattlesnake Mountain! 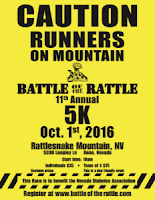 The BATTLE is a challenging 5K run consisting of both trail and paved course. Scaling the Rattlesnake mountain takes you over 600 vertical feet to the top of the mountain over looking all of Reno. Race individually, within your age division, or as a member of a 4-person team. " "If you have visited here or live here you probably already know that Lake Tahoe is arguably one of the most beautiful places in the world. It is also one of the worlds greatest outdoor playgrounds! But, before the creation of numerous ski resorts, hiking and biking trails, the north shore was home to the Sierra Nevada Wood and Lumber Company (SNW&L). In the late 1800s, they provided timber during the mining boom to the nearby Comstock Lode in Virginia City. The SNW&L transported its raw lumber via a wooden flume located 1600 vertical feet above the shores of Lake Tahoe. The path used for the wooden flume is now the setting for one of the most scenic and spectacular trails in the world. While the wooden flume has long since been disassembled, remnants can still be seen today along the trail. Max Jones, a two time National Mountain Bike Champion and Mountain Bike Hall of Fame Member, aware of its history, cleared and opened the Flume Trail for mountain biking and hiking in 1983. Since that time, the Flume Trail has become world renown for its jaw dropping views of Tahoe." "The fourth annual race to benefit the Washoe County Sheriff's Office K9 Unit will take place on October 1st, 2016. For 2016, there will be both a 5k and 9k run/walk that will start and finish at Reno Running Company in the Summit Mall. The race is perfect for all fitness levels and is very family friendly! " "The Kokanee Trail Runs have been a favorite among the running community for years in the Lake Tahoe Basin. The Half-Marathon, Tadpole Trot, 5k/10k on the shore of Fallen Leaf Lake are one of the many exciting and cultural events that take place during race weekend. Come join us for some amazing fall colors in one of the most beautiful places on the planet and take in one or more of the events that will be going on -- Camp Richardson's Annual Oktoberfest is held the first weekend of October on-site at the Camp Richardson resort. Oktoberfest provides fun and laughs for the whole family. A local's favorite, this Lake Tahoe festival features great food, music, family games and activities, and the famous Beer and Wine Garden. There is also the Fall Fish Festival, focusing on a variety of fish species that live in Lake Tahoe and its rivers." "The Sparks Firefighters Association was created in 1928 with the purpose of taking care of our community. The Association is a charitable organization whose members to not take any sort of compensation. All funds generated are dispersed to a benevolent fund that aids any public safety personnel who suffers a tragic event, any community burn victim, any local community charitable organization, fire safety education, educational scholarships, etc. You name it, we support it in our local community." "A morning 5K run or "almost 1 mile" run right on the actual runway at Truckee Airport, at elevation 5,900 feet, surrounded by the beauty of Martis Valley's mountain peaks. 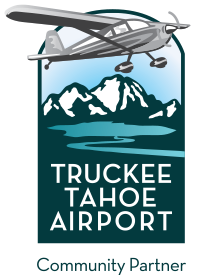 Our host sponsor, Truckee Tahoe Airport will have the runway closed to air traffic during this unique event. Be the first to Run the Runway! Just a reminder, there are unfortunately no dogs allowed on the runway. We do welcome strollers. Just be careful for any cracks in the pavement. There will be a souvenir water cup for the first 200 people to register. At the finish we will have light snacks and water. There will also be a professional photographer with photos for sale online." "Our boutique races run on Thursday through Sunday and include the Friday Lakeside Marathon & Nevada Half Marathon, the Saturday Cal-Neva Marathon and Carnelian Bay Half Marathon, and the Sunday 21st Lake Tahoe Marathon and Emerald Bay Half Marathon. Plus much more including a 72 mile Ultra, 4-Person Marathon Relay, 16.6 Miler, the Edgewood 10K, the Super Hero 5K as well as the Kids Free Pumpkin Run. Also swims, SUP races, kayak races, and more! And it all comes with the spectacular scenery of Lake Tahoe with Fall colors and the best aid stations you will ever encounter. Bring your friends for 3 days of running fun." "A new tradition is born! The inaugural Great Trail Race on October 9, embodying the spirit and purpose of The Great Ski Race — spirited competition and fundraising for Tahoe Nordic Search and Rescue. The Great Trail Race follows roughly the same route as The Great Ski Race from Tahoe City to Truckee with one major difference: You choose to run or bike one of two course options, Elite or Classic. The Elite division course adds in more technically challenging terrain. Make the event the goal of your summer training, then dig deep and beat your age-group rivals. Or set your own pace and enjoy a beautiful Tahoe mountain bike ride, Tahoe trail run or walk through the Sierra forest. Whatever your speed, wear the T-shirt with pride year around." "The Light after Dark Walk/Run is a fun event that takes advantage of our beautiful Northern Nevada scenic outdoors, incorporating the cause of aiding victims with fitness and advocacy. Supporters will Walk or Run the lit Riverview Park that winds along a sandy path through desert foliage and beautiful cottonwood trees skirting the edge of the Carson River where wild horses graze. Advocates to End Domestic Violence is a private, not-for-profit organization. We are a full service program that operates a 51-bed shelter and provides a wide variety of services designed to protect and support battered and sexually assaulted victims and their families in the community." "Freestyle Fights Back and Freestyle Martial Arts Academy are happy to announce our 3rd annual 5K, The Pete Simeoni Memorial Run. Last year our event rose over $12,000 benefiting the ASPCA of Northern Nevada, a cause we love and are so happy to have supported. . This year we will be giving back to our community in a significantly different way. Freestyle Fights Back is proud to be hosting this 5K on behalf of our friends the Zytkoskees. 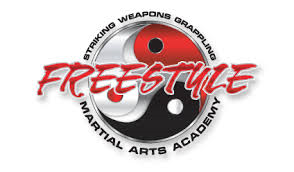 Mr. Matt Zytkoskee is a student and team member at Freestyle Martial Arts, and as most of you already know our students are like our family members, so we would like to give this year’s proceeds to Matt and his family. Why you ask? Matt’s wife is currently fighting brain cancer and on top of that fight they are fighting to pay their medical bills. 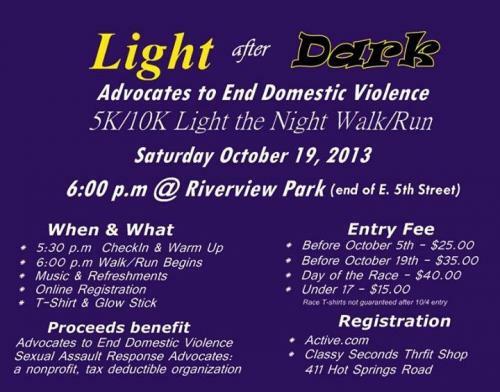 We would love to have your support by signing up for this years race!" "Hosted by the Education Alliance and coordinated by a county-wide group of EA Board members, educators, volunteers, business representatives, community leaders, and government officials, this annual family and community event raises funds for students in the Washoe County School District (WCSD) and brings together families, community, business, and education for a day of fun, physical activities! One hundred percent of sponsorship dollars raised go DIRECTLY back to schools and students through the Education Alliance. New in 2015 was the Marina March, an untimed walk/run around Sparks Marina, along with the established distances of a 1/2 Mile Fun Run for little runners, and the competitive 5K/10K races. In addition to the running events, the Fitness Fair is for kids and families to enjoy with activity-themed stations, such as bike rodeo, soccer, climbing, golf, basketball, archery, gymnastics, and many more." "The Classic starts and finishes in historic downtown Carson City, Nevada. All racers finish just before the start to the parade with 1000's of people lining Carson Street to cheer them in. Costumes are encouraged - and the best are rewarded! The theme of this year's Nevada Day Parade is the sesquicentennial of our great state. " "Welcome to the 2nd Annual Monster Dash 5K! This is a family fun start to your Halloween Weekend! Join us for a spooky 5K run starting at Idlewild Park and following the Truckee river. Watch out for ghosts and ghouls along the way, you never know when they might jump out to scare you!"